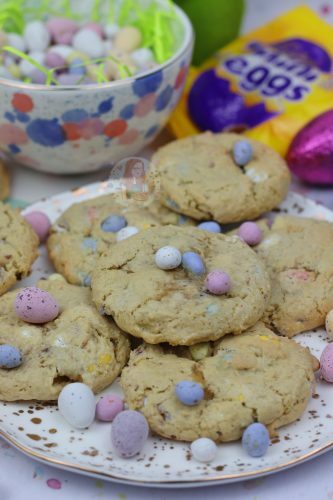 Easy, Simple, Crunchy and Gooey Mini Egg Cookies that are PERFECT for Easter! My Easter Chocolate Cake was such a hit that I can’t even keep up! I simply HAD to make the Mini Eggs on top colour order, and it was so worth it. 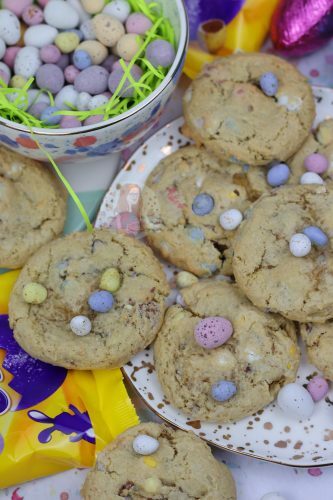 However, some people don’t want to go through allllll that effort for Easter, so cookies will do nicely. 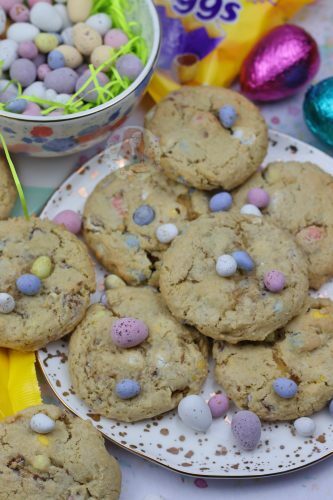 I of course will happily eat Cookies every day for the rest of my life, but Mini Egg Cookies are special. I have seen so many people post these over time, but I wanted to make a chunky cookie that didn’t have to be chilled, and was really really easy to make. I based the recipe on my White Chocolate & Raspberry Cookies recipe as It is just so good. There are a few steps to it, and a few bowls needed, but its worth it because you don’t have to wait 12 hours for the dough to chill like a lot of other ‘plain’ cookie recipes. The Cornflour in the recipe helps prevent the cookie from spreading. 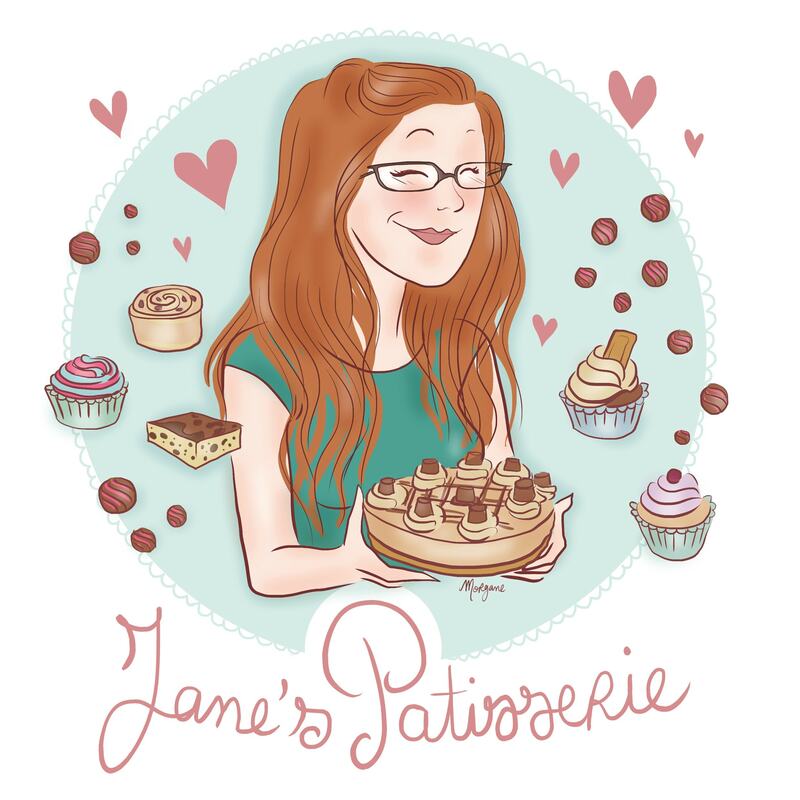 Other cookie recipes of mine (such as my Terry’s Chocolate Orange Cookies) don’t need the cornflour as the cocoa powder is naturally thickening, but plain ones without a chocolate base can sometimes struggle. If you find your cookies are spreading to pancakes and just look a little weird, its probably because it needed chilling. 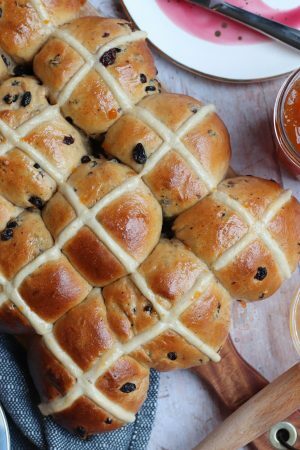 I just love that all you need to do with this recipe is whisk together the melted butter and sugars so the sugar breaks down, then add in the dry ingredients, add in the chocolate… and bake! Easy. And DELICIOUS. As my Mini Egg Cookie Bars have always been a hit (throughout the year even though Mini Eggs aren’t available year round… always found that weird!) so I thought an actual cookie version would be the dreaaaaam and it was. I literally couldn’t stop eating them. I realise they don’t necessarily look the best, but DAMN they taste insane. Another thing I adore about the Easter is the decorations. Little fake grass bunnies are SO CUTE, all the pastel colours, and I just can’t cope… but for me the food is the best. Weirdly, and please don’t judge me, I’m not a massive fan of eating Easter eggs. 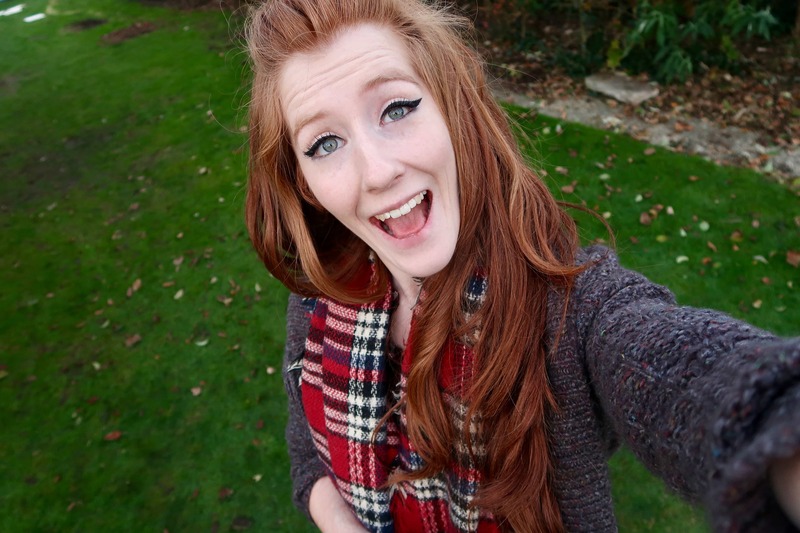 Like, I adore chocolate and that… but I prefer chocolate in things. I struggle to just eat a lot of Chocolate on its own, unless its something little and delicious like a Mini Egg. 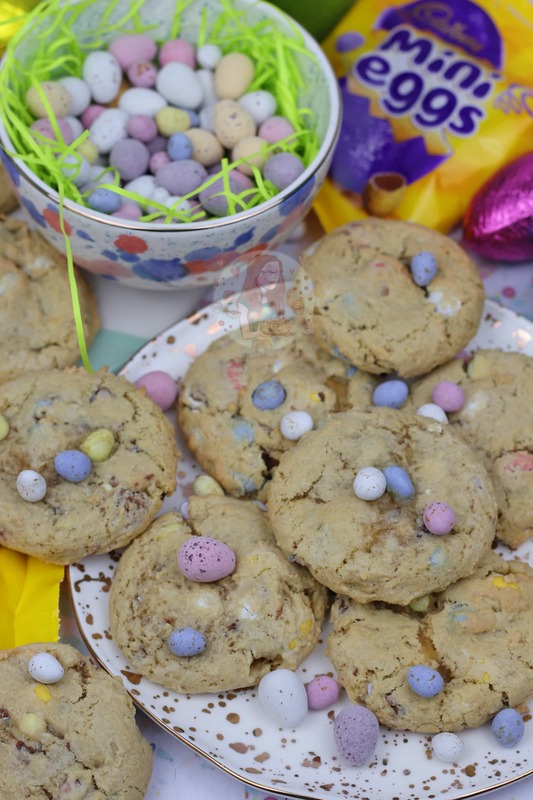 So, Mini Egg Cookies are the best. 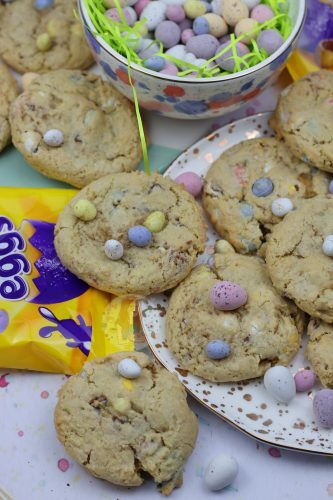 If you want to make these into a Chocolate version, follow my recipe for my Terry’s Chocolate Orange Cookies, but add in the quantities of the Mini Eggs and Micro Eggs in this recipe! Add in the flour mixture and beat till everything is evenly distributed and a cookie dough is formed. Add in the Mini Eggs, and the Micro Eggs and mix together again. 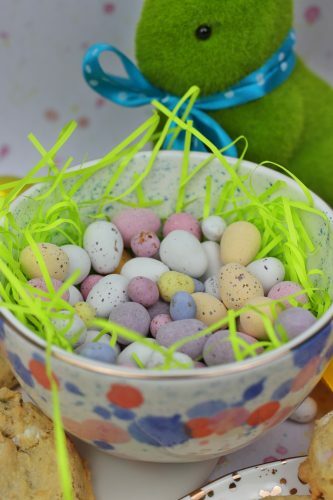 I used two bags of the 90g (usually priced at £1) Mini Eggs, then a bag and a bit of the Micro Chocolate Eggs. These are usually supermarket own ones, and I've got them before in Sainsburys, Tesco and Asda for example! If you can't access the Micro Eggs, feel free to add in 200g of Chocolate Chips, or 100g of chocolate chips and some more Mini Eggs! 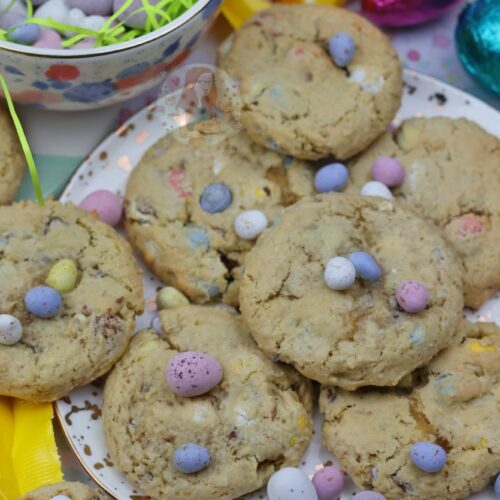 Find my other Cookie & Easter Recipes on my Recipes Page! 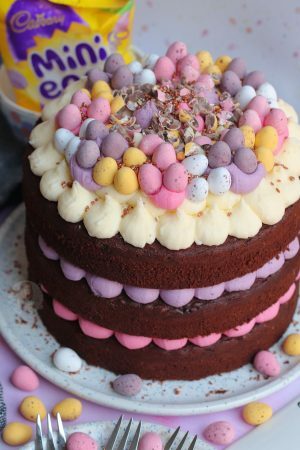 Older Next post: Easter Chocolate Cake! 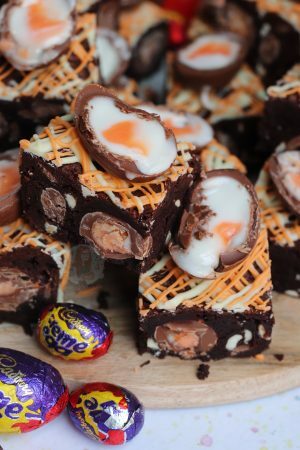 Newer Previous post: Malteser Brownies! I made these but just as chocolate chips and i found the dough to be very dry and crumbly. When i baked them they didnt spread at all and were like pepples rather than round flat cookies? Ive tried the white chocolate and rasberry ones they were great. Is there a reason why the method or recipie is different? These cookies aren’t designed to spread that much, and the recipe/method is the same for both other than the size of the egg which doesn’t impact it that much at all, and the chocolates itself.